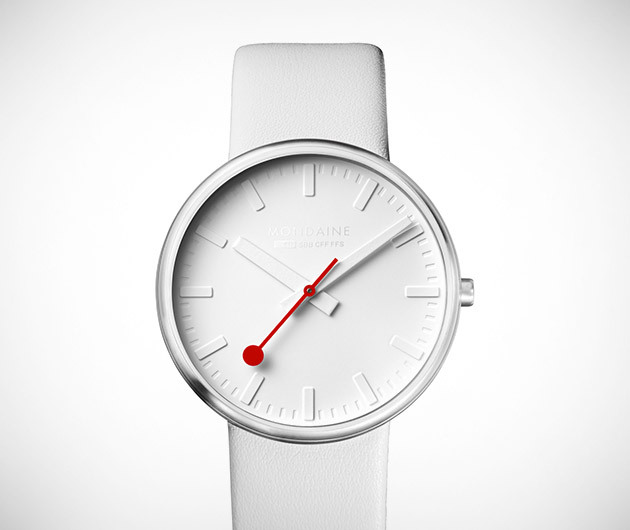 Total style and minimalism with a shock of red courtesy of the second hand, the Mondaine White Giant is so limited, there are only 15 up for grabs. One of the largest timepieces of the Swiss company's line, it measures 1.6 inches, is water resistant tested to 3 ATM and sports curved mineral crystal. The case is stainless steel and the strap beautiful leather. Get in quick, the clock's a ticking.